You are never too old to play! For our second year being part of the Manaiakalani Film Festival we wanted our movie to be bigger and better. We also wanted it to be different so we based our film entry on changes of matter. Our plot inspiration came from this article about a group of scientists making meat patties from cow cells. They named their meat patties 'Frankenburger' and we used this as the title of our movie. The film crew consisted of Angela B, Aaron, Williefred and Naanise. Before we started filming we had to plan and create a storyboard which took a couple of weeks since we were still deciding on the ending of the film. As part of the film crew we were in charge of making the movie for our class. We wanted this movie to be bigger and better than any other movie at The Manaiakalani Film Festival. When we created this movie we asked the question... if cow cells could be turned into patties, what would be the outcome if the cells from other animals were used to make food instead of what we normally eat today? If you were to think about eating food created from cow cells, would you? This type of question, as our teacher would say, is 'food for the brain'! What would be the consequences from eating chicken burger made from cells of a chicken? Would you still eat it? Special thanks to Ms Bullôt for providing the resources and equipment needed to create this movie and we also thank her for her support and encouragement across the journey of this movie. This morning the children in the aLim (accelerating learning in mathematics) group,had a mathematical trip to Panmure.The mathematical thinking started at the Settlers Tours Travel Agency.Pauline the travel agent told us about the mathematics involved in the travel agency business. It was interesting to find out that a children under 12 receive a 75% discount in fare cost from an adult fee. Once your 12 you pay the same as an adult! Previously,on our mathematical adventure, we noticed the use of decimals in the fruit shop telling people how much it would cost for a kg of fruit such as apples. We visited a cafe and again saw decimals in money and read the specials board and did some calculation about the cost of items we might like to buy. It was interesting too, that we learnt you need to compare costs on the board with those on the special of the day blackboard - this could mean you might get a discount or a bargain. Following this we visited the ASB Bank. The Manager came out to talk to us as we looked at leaflets about interest rates that were recorded as percentages. She told us about how because we were children we didn’t have to pay interest but we could still earn interest if we had a bank account. WALHT: Observe and report on the chemical reaction that occur when combining substances together. The lemon juice colour faded after being mixed into the citric acid which then after solidified. We predicted that the vinegar’s colour would over power the Raro’s distinct orange colour. We predicted that the vinegar would turn the tartaric acid into a black liquid like it’s original colour black. It looked like coke and solidified. We didn’t really predict because we have done this many times. It rose and foamed up due to the chemical reaction. WALHT: write a captivating narrative that engages our readers while also maintaining the correct structure. Imagine looking up at the night sky on Christmas eve seeing flying reindeer pulling Santa’s sleigh. This folklore are why reindeers are well known. Sadly they can’t fly but the species are at least concern and they aren’t endangered. The reindeer is apart of the deer family with other animals including moose, deer, elk and chital. A reindeer’s body has the colours of gray, brown and a hint of yellow. Most calves which are baby reindeer start off with brownish-red fur then develop their colour as they mature into adults. Both female and male grow antlers but male’s antlers are larger in size. There’s a rare population of female reindeer that don’t have any antlers at all. Reindeer calves are usually born during daylight hours in the morning because they need enough energy to follow their herd at night. Within a couple of hours after they’re born they’re up and following their mothers. When they’re adults, reindeer measure up to 180cm long, stand up to 110cm at the shoulder and weigh about 81 to 153kg. This mammal lives up to 10 to 15 years. Reindeer have different herds which are groups of them together. The group of mammals usually follow a leader who leads them to different areas. Sometimes a herd of reindeer drag people in sleighs in cold snowy areas. They originated in Siberia and later grew in Norway. Now they can be found in Eastern Europe, Alaska, Canada, Russia and even in China. Instead of seeing them flying in the sky you could see them together in a herd out in the wild. There’s a lot more to these mammals besides them pulling Santa’s sleigh from the well-known folklore. It was Thursday night, and the students in the Maori group were getting ready for Cultural Festival by wearing the traditional Maori clothes, the girls wore black skirts and black tops with a piupiu around their waist and the boys wore black shorts and no shirt but they did wear the piupiu. The Cultural Festival started off with me doing the Karanga for the National Anthem and the rest of the school singing the Pasifica song to welcome and thank the people for attending this special occasion. After the Maori group finish doing the haka, the poi and the haere mai etc, the chinese group started. The girls in the Chinese group wore a red dress and the boys wore black shorts and tops with a vest. The Chinese group ended and it was time for the Samoan group, the Samoan group had alot of supporters in the audience. The girls in the Samoan group wore pule tasi’s and the boys wore a lavalava with banana leaves around their neck. After the Samoan group it was halftime. During halftime I was putting my costume on because right after it was the Tongan group. Halftime was up and I was on my way to the stage with Frankie and the rest of the Tongan group, we got up on stage and already had people screaming and supporting us, my brothers were supporting me by making funny faces at me and trying to copy the Tau'olunga (dance) I was doing. While Frankie and I were doing our Tau’olunga (dance) alot of people came up on stage and put money on us. After us it was the Tongan boys’ turn. They did a dance to the song ‘Toli Lou Siale’ and the girls did a dance to the song ‘Tamaiki ‘O Loto Neiafu’. The boys of the Tongan group wore a skirt (kinda) called manafao with a white singlet and a kahoa (necklace). The girls in the Tongan group wore the tapa. After the Tongan group was the Filipino group. They girls wore a flowery skirt. After the Filipino group ended it was the Hip Hop group the boys and the girls in the Hip Hop group all wore the same clothes but different coloured suspenders. After all the Cultural groups finished, Miss Bullot announced the winner of the hamper and that was Mrs Oldham. Sport - My personal opinion - Can I persuade you to think like me? Have you been tired a lot for just running 1 km, then you are reading the right thing, I am arguing that schools should provide more sports, particularly for students who want to do a certain sport as part of a school curricular. Having this opportunity can help the student focus, metal thinking and improve their fitness. The result of this can lead to a well studied and athletic student. If they chose a sport now rather then later in college they can have more time learning and less time regretting the sport he chose, which a will get on to later. There are other reason why more sports in school (for people who want to do a sports) can help the persons learning and most importantly there future. Firstly:Doing sports in school can be able to set up and help them make up their mind for college. Doing good enough at college, he can be picked/drafted for a professional team with a scholarship in the certain. This can be handy because the more focus the student is at school, the more work he can do, and thats what more sports at schools provide. This mean like what i said in my opening statement. They will not have to choose a sport in college, when you will be too caught up in learning what you need to learn. Secondly:Doing this program can result in a good fitness routine and wake them up for school, if done in the morning. Which help the person/student learn about prioritising and doing work set out for the the person. Which will give him excellent grades which will provide a good standing stone for the student to make his name/reputation. Thirdly:There is a lot of opportunity/gain that comes with each sport you participate in. For example if you do a sport you did not like a first then suddenly you start to learn more about the sport that gain’s you more experience. It can also lead to a seat in the Hall Of Fame of that sport which will be a great achievement. To conclude - There will be times when you don't what to do sports, but when you like the sport you are playing you will what to see if you can be a professional at that sport. Starting it at an early age like school can have a drastic effect in their learning and help them focus on work and what is right.This means that students will have more work done and will also help the teachers which is a win-win situation. Rubbish Bins - should be banned! It has been far too long having school rubbish bins and it should be BANNED from school grounds. Thats right! It should be BANNED! B.A.N.N.E.D! Banned! Do you want to know why rubbish bins should be banned from school grounds? Then listen to my speech. Rubbish should be banned from the school grounds because students can be lazy and they end up putting their rubbish in their pockets or they end up littering. But Littering is a big NO NO for school rules and also New Zealand’s Law. It can also be a waste of time for students to put their rubbish in the bin because they have pockets to put in their rubbish. It will also be a waste of time for teachers and students to waste their time picking up rubbish than in class learning cool things about what’s happening around the world. It also would be annoying and frustrating for teachers and students to scare the seagulls and birds away. But where would your rubbish go if theres no rubbish bins? That’s the problem. There is always a smart way to think about, like putting your rubbish in your lunchbox and take the rubbish home and throw it in the bin, or you can make your own food wrap but has to be a reusable so you can use it again. These are my reasons why i think rubbish bins should be banned from school grounds. So next time you have rubbish where do you think you should put it? Corporal Punishment - does it have a place in today's society? 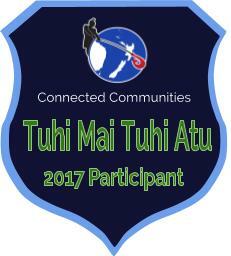 Ko te Ratu 17 o te Mahuru o tenei ra. Do you really think that Corporal punishment should be brought back to New Zealand schools? I don’t think that it should be reintroduced because why would teachers hit their students when the parents are not allowed to hit their own children. And abusing children is against the law anyway. If you had a second just to be in the shoes of one of the students in the class how would you feel? Smacking the students will probably decrease the child's self esteem. It also could cause the child to have a Phobia for a specific subject. When a child gets smacked in front of the class that is not fair for the children who have to watch the child get smacked and especially embarrassing for the child who is getting the smack. And if the children always watch students being smacked it will make the children scared and frightened to come to school. I am going to talk to you about the law here in New Zealand. Back in those days the Maori society the children were rarely abused or hit, but once the British villages were recognized in the mid 19th century, corporal punishment became public across the whole village. Corporal punishment is still going in more than 20 countries around the world. No child should beg for their forgiveness while being hit or spanked etc. Physical punishment also known as corporal punishment is not a defensible technique for children. The definition of corporal punishment is the use of physical force with purpose of causing a child to feel or experience pain but supposedly no injury. In my opinion these are some of the reasons why corporal punishment should stay banned in New Zealand schools and all over the world. Nothing beats a healthy snack more than chocolate, it is a healthy snack for you because it gives you energy. It is also filled with germ killing antioxidants which are also found in most fruit. Another reason why chocolate is good for you is because it can help you during depression, as it releases calming endorphins which can help lift your mood. Eating dark chocolate can also lower your cholesterol and help your blood pressure improve. Researchers in Germany found that chocolate is good for your skin, they did a test and found that after 12 days the chocolate eaters skin was 16% denser and 42% less scaly than the non chocolate eaters. “I can't eat chocolate because it will make me fat” are the words most spoken each day, but really anything can if it is not eaten in moderation. Chocolate has a lot of benefits from the ingredients in it. Studies show that chocolate is good for more than curing depression, it can also kill so many diseases. The secret is cacao, it is a small bean that is packed with antioxidants that can kill germs and diseases, but if it is eaten by itself it tastes bitter and disgusting. dark chocolate can help with that, dark chocolate is filing and less fat than most other types of chocolate. It can also prevent diabetes. If you are struggling with a difficult test, eating chocolate will help boost your brain power. Would you rather eat vegetables, vegetables do have a lot of antioxidants but not as many as chocolate. Vegetables are good for keeping you fit but chocolate is good for depression, diabetes, diarrhea, coughs and colds and many other things you never imagined. Is the possible change of school hours positive or negative ? My teacher thinks that intermediate students should start ten minutes earlier than other students in our full primary school. But as an intermediate student I believe that an extra ten minutes a day would not make a difference. Think about it, ten minutes everyday for what? To muck around or to learn, what child would what to wake up earlier for school than they are used to? If this preposterous change were to occur how would parents react to this? I think they would react to this the same way the students would because this not only affects the students but also the parents that bring them to school. They too, would have to wake earlier to drop their children at school . This change in routine would lead to stressed parents, students and teachers as they will have to change their daily routines also!. Some students at our school catch a bus. This change in daily timetable would require that they catch an earlier bus to arrive at school for this new time. Has anyone considered whether or not there buses are actually available! Consideration should surely also be given to those students who may have younger siblings at the same school. In the primary school, these children could range from five years old through to 11 years! They would have to wait 10 minutes for their lessons to start. And of course having to arrive ten minutes earlier also means that ten minutes of sleep is lost and this of course could result in teachers facing yawning faces and drowsy children. The idea of beginning school earlier is in my opinion is unfair! If as in our case students attend the same school then surely the times they start school be the same. Is the possible change of school hours positive or negative ? Where do you stand? The soles of my shoes touched the damp, cold and uneven path of concrete leading up to the stage where our group performances would be held. There was a mixture of ecstasy and fear detained inside my little body which was playing with my nerves. This was my last year which motivated me to do my best and leave with a ‘blaze’. The Kapa Haka group entered the stage with girls’ wearing traditional costumes, pupu’s and black tops while the boys were also wearing pupu’s and no tops. The performance started off with Ms.Bullot setting an introduction and us starting off the festival with the National Anthem and Pacific Greetings Song. After the official start of the festival we started off with Hai Re Mai then Poi E and our finale, the HAKA! We ended we a big pukana which the crowd which made the crowd cheer and after what seemed to me a long pause, we left the stage. The Chinese group came after us then the Samoan then half time started. During half time some groups had gotten changed and people were getting out of their seats to buy food and beverages which caused a big crowding in the doorway of the hall. When halftime ended more groups performed and the prize drawing was taken.the first draw was not there or left or lost their ticket and these unfortunate people (my parents) had lost their chance and another draw was taken which gave the prize to Mrs. Oldham. The hip hop group was last which I would be in and this was not only scary because there were people watching but I was scared because we had to perform the best because all the other groups had given the audience a standard to judge on. The walk to the stage left my knees trembling, heart pumping and nerves playing up but this was my last year and I was determined to have something to remember it by. Our dance was set like a dance battle groups of either four or five would perform than leave the stage then come back at the big finale which would hype the crowd up. The performance left me feeling good and the crowd wild but most of all my parents proud. The reason why I am not in favor of the changed times in schools is, it would be catastrophic and inconsiderate to people involved from kids to teachers, would teachers they get a pay “rise!”. Would the students gain anything from the extra time given to them or will it be tiresome to even write a single word from a hard days work. Firstly, children could be too sleepy and lethargic in the morning. Teachers would have to be at school at 6:30 in the morning! just to get ready for us. “Poor teachers”. The day would be so long and tiresome which would impact on our learning each day of each four terms every year. Secondly, kids already don’t go to bed earlier enough that’s when they finally get home and they will be too tired to do homework and household chores. Some teachers that wake up at 4am might have to get up at 3am so they can get to school on time which will make them grumpy. With such a long day of teaching and learning it would become detrimental to our grades and our parents wouldn’t like that at all. After reading these reasons and facts you will undoubtedly come to the same conclusion. This travesty shall not happen, I vow to fight this all the way to the GOVERNMENT! if I have to. Why should you start playing basketball? This was a question that I was asked recently and I might add it when it came to responding, I realised it was indeed a good question’. Basketball is an excellent sports code to take up because first of all it is a fun and competitive sport which allows each participant to play and socialize with other who have the same interest. This active and competitive sport also helps to exercise your body and improve not only ball handling skills, but also hand and eye coordination. As a player myself, I recommend playing basketball because it is good exercise and if you haven't played yet it is something new to do because it will give you something to do other than sitting in front of the t.v. playing Minecraft (said from personal experience). When playing basketball you need to have good endurance and stamina to keep up with other players in the game as you will often need to sprint across the court to the oppositions to guard your hoop. Training is an essential part of this sport to build endurance which is necessary for your role in the team and to support other team players. eases opportunities to be part of a group with similar if not the same interests, one of the benefits I have noticed apart from keeping fit and healthy is the improvement in my breathing. Through the training programme I have found it most beneficial in making me more conscious of the way I breathe and using my diaphragm properly when breathing, which is particularly important because I am an asthmatic. Playing basketball can be fun playing because it improves social skills and can let you get to know other people. As fun as basketball it is also beneficial for keeping fit and healthy, as an asthmatic it has helped my body and lungs to breathe prior to the training given to me through basketball. So really what i’m trying to say is that if you already haven't you should try playing basketball and you never really know, maybe you’ll like it. Basketball, I highly recommend you give it a go! Chocolate - Good or Bad? You decide. Ko te Ramere 30 o te Akuhata o tenei ra. When you think about chocolate do you think of it being a healthy snack or a unhealthy snack? And that is what I am going to talk to you about. I disagree that chocolate is a healthy snack because of all the sugar and calories it has in just a single piece of chocolate. In Dairy Milk chocolate there is about a total of 18 grams of fat, 40% of saturated fat and 3% Cholesterol. At times I do think that dark chocolate is a healthy snack but only once a week. Mathematics not important! You've got to be kidding right? This rumour going on about mathematics being a waste of time is an act only a 5 year old would even think about of saying and doing. In my perspective the person whoever thought of this absolute senselessness might’ve had Dyscalculia. Dyscalculia means having difficulty in learning, like complication in understanding numbers and understanding math facts. A majority of people would agree that mathematics although sometime complicated is essential for us humans to thrive, for example technology wouldn’t be possible because of the number coding/Fibonacci needed to be understood. If numbers weren’t learned is would lead to putting more hours in simple house chores like laundry and cleaning (vacuuming) the house. Maths and numbers are important if we would want to thrive and have all this technology. More evidence to prove this is that mathematics is one of the best ways to stimulate your brain, as numbers and challenges given to you has been known to go back to your basics. If mathematics was practiced daily it wouldn’t seem as impossible as people describe it. Mathematics is one of the best ways to stimulate your brain and if practiced daily it wouldn’t be as hard as it seems. 11 year olds and under will have a discount. 12 year olds and under will have to pay the adult fee. On Tuesday we did something much more fun than sitting in an old classroom learning about percentages,fractions, decimal etc. We went for a walk around the community looking for maths that is used in everyday life by hundreds of people. On our walk we took our notebooks with us so we could write our notes. On our way to Settlers tours, we took pictures of car number plates, signs, the bus schedule, the phone booth and prices in the supermarket When we got to the travel agency, we saw lots of brochures to all types of places we could travel to, like Asia and Indonesia. Pauline was the lady at the front desk, she talked to us about the prices for adults and how children under 12 get a 10 percent discount, but if you are 13 and over you will have to pay the adult price. While she was talking to explained how hard it is to book flights for the customers, they will have to find a flight that will take them to their desired destination, while having to think if they would like to have money on their trip. When we left the Settler tours we walked back to school but before that we stopped at the bank. While we were there they took pictures of the Atm that was in front of the bank, we didn’t spend as much time at the banks as we did at Settlers tour because we had to get back to school because Miss Bollut had to get back to her office. When we got back to school Kryzjon and I went back to class and the others went back room 8. Mrs Dines wanted to show us that we use mathematics in everyday life. We might not realise it but we do. The maori group was first. I lead it and it felt good. I felt butterflies when I started dougieing, we got ready in room eight and had to walk up to the hall in the rain, it was the best night of the year, we were closed by the hip hop group, I felt furious as i would be in a war, It was powerful and I felt free, It was cold. We walked together as one, together as a family to the hall to open up the magic of the 2013 Cultural Festival. As I walked up onto the stage and lead this years haka I not only felt a little bit shy. I slapped myself like I have never done before and to do that I had to make myself feel like I was in the war and was very furious. I had like my brothers at the back and beside me to support me by giving it all our best “BLAH!! 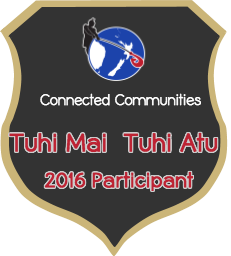 !” we all said at the loudest we could to end the Maori group. The crowd gave us a loud cheer and a hand. The Samoan group was doing their dance and I was up next in the Tongan group. I splashed a lot of oil upon me ready for a load of money to help for the school. I forgot to take of my socks and so I was careful not to fall over. It was an instrumental part of the song near to the end and so Taniela and I started dougieing. I felt free and confident that I did that and when we left my parents were proud of me. I stayed until all the performance were finished to show my support for my fellow friends. The first group it was the Maori Group. My friend was leading the haka.It felt happy and good. It tell the people what we teach and learn from seven weeks. The second one it was the Chinese. .The fourth it was my friend group Tonga it was my friend williefred was leading. The fifth it was the filipino.The last it was the hip Hop.We walked up together to the stage we were singing the national anthem.The student parent was came up to the stage and give them the money.The principal was happy at the student.My teacher was happie to her group.And the others teachers was happy at their group.The Samoan group was looked the same with the Tonga group.The culture festival it was good and funny. The parents was happy at their student was on the stage.The culture it the important for the student because have fun and show the parents what they teach from the seven weeks.There are some parents game last night the festival was finish and some of them didn't came and some students of the group didn’t game.Most of the student came early at the school and help the teachers or bracktist.Some of the student was nervous and proud. Math - important or not - What's your opinion? We are learning to write a persuasive argument. Our teacher asked our opinion about whether or not we thought mathematics was important. Maths is important because everybody uses maths in their daily lives, like for working out how much money the have. It is not a waste of time because if we didn't have maths, the cashiers in shops would give people the wrong amount of change and people would be getting ripped off. If we stop using maths, this generation will stop using their brains. And if technology fails, people will need to start using their brains but they will be unable to because their brains have stopped remembering how to do maths. Are you wanting to book a holiday in 2 weeks time? I am part of the aLiM maths group at our school. Alim stands for accelerating learning in mathematics. As part of our learning, we have been investigating mathematics in our community. This morning the aLim groups one and two went for an adventure around Panmure. After taking images around Panmure we walked to Settlers Tours and while we were there we talked to a travel Agent her name was Pauline. Pauline talked to us about the cost of traveling which included more that just our fare would be and what you can do and what you cannot do. For example , if you are travelling by yourself or with a sibling you have to be over 10 years old and that is the thing that is allowed but one of the things that are not allowed when you are going to travel is even if you are 10 or older you are not to travel with a sibling that is 3 years old or younger. One of the most important thing that you should remember when you are about to travel is to always confirm or check who is picking you up from the airport. But if that person does not confirm that they are coming to pick you up then you will not be allowed to leave that country that you are living in. We found out that if you are under the age of 12 you get 75% off the adult price for travelling but if you are 12 and over you have to pay the full adult fare. Talking to Pauline was interesting it really inspired me and got me thinking of being a travel agent when I grow up. What are you thinking of doing as a career when you grow up, if you do not have anything in mind or if you are not sure? Have a think about being a travel agent. I also learnt that there is a lot of mathematics involved in this job and how it links to the things we learn in class. While browsing holiday magazines to check out prices being able to work our discounts for travel and see what kind of deals you could get. On a previous trip 'Out and About' we also visited the bank and found out about currency exchange rates and about starting up personal bank accounts and the interest you can earn on your savings. Its all about mathematics. Knowing and understanding how maths is used in the real world is important.